Team KISS is Going to New Orleans! We have big news! FSR’s sixth annual Team KISS 5K Run/Walk will take place in New Orleans, Louisiana! We have big news! FSR’s sixth annual Team KISS 5K Run/Walk will take place in New Orleans, Louisiana! Join our sarc warriors, friends, family, and supporters when we unite for the annual awareness walk on April 27th, 2019. Sarc warriors fundraising for Team KISS last April broke our previous record and raised nearly $100,000 for sarcoidosis research making it our most successful walk to date. 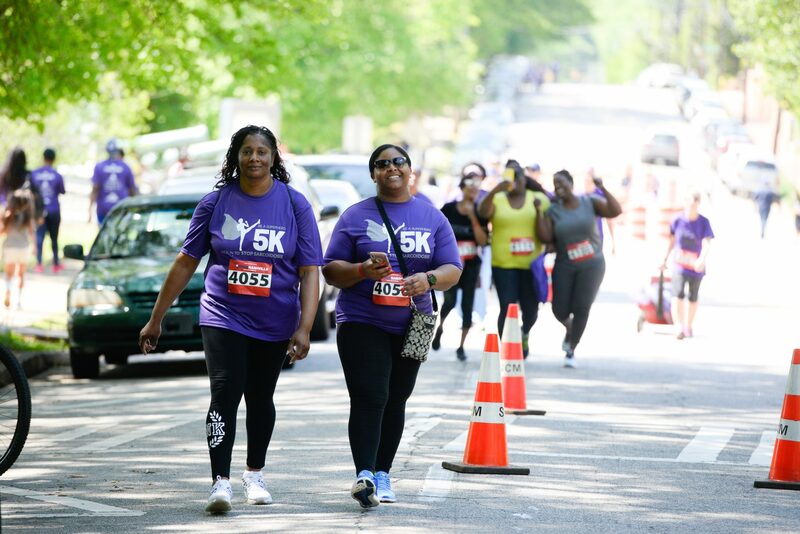 We hope you will help us Kick In to Stop Sarcoidosis this April and make our movement even more impactful in 2019! The Team KISS 5K Run/Walk is an annual awareness and fundraising event that features a 5K walk or run (3.1 miles). This year, it will take place at the beautiful Audubon Park in the historic uptown neighborhood of New Orleans. The century old park is known for its beautiful scenic views where you can enjoy picnics, visit the local zoo, nature center or golf course. The course winds through ancient live oaks, a lagoon, picnic shelters and playgrounds. Audubon will be a stunning course you will not want to miss! After the walk/run, we will host our post-race party and present awards to the top finishers and fundraisers! Not interested in participating in the walk/run? No problem! Family and pet-friendly activities will be located at our Race Village with local sponsors for the duration of the event. The $30.00 registration fee and other contributions directly benefit the Foundation for Sarcoidosis Research. Are you interested in joining us for our walk in NOLA on April 27th? If you’ll be joining us from out of town, we recommend booking your travel accommodations early because the New Orleans Jazz and Heritage Festival will begin on Friday, April 26th and end on Sunday, May 5th 2019. Can’t join us in New Orleans? FSR would love to have your leadership and support in 2019 by hosting an independent walk in your own hometown! Over the years, we’ve helped volunteers host hundreds of independent Team KISS walks taking place all across the globe! Your passion and commitment to raising awareness for sarcoidosis research is instrumental in advancing the sarcoidosis movement worldwide. If you are interested in hosting a walk in your community, contact Angela Frelander at angela@stopsarcoidosis.org. View the official event page here!